Whether you want to update the look of your old table or thrift store find, or you simply want to add a bit of interest to a basic table in your home, these decoupage projects will inspire your makeover. You don’t have to spend a lot of money (one project on this list only costs $5!) or put a lot of time and effort in to change the look of your furniture. Check out these 10 creative ideas! Piero Fornasetti was an Italian artist with a unique style. He produced more than 11,000 pieces of art in his lifetime, many of which featured his signature style of black and white faces. He used the face of operatic soprano Lina Cavalieri, as a theme for quite a few of his artistic creations. This table is a thrifty knockoff version of Fornasetti’s furniture style. You can get the look with a little bit of spray paint, printed acetate, and some patience. Mark Montano from HGTV and other DIY programs will show you how to get it done easily and quickly. 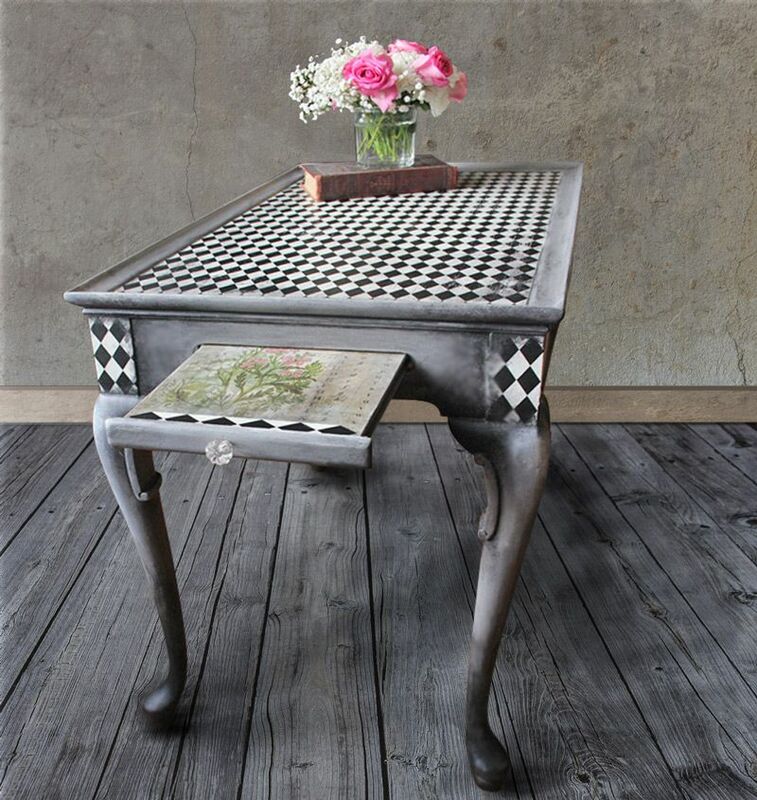 Do you have a table that has seen better days but has good bones? 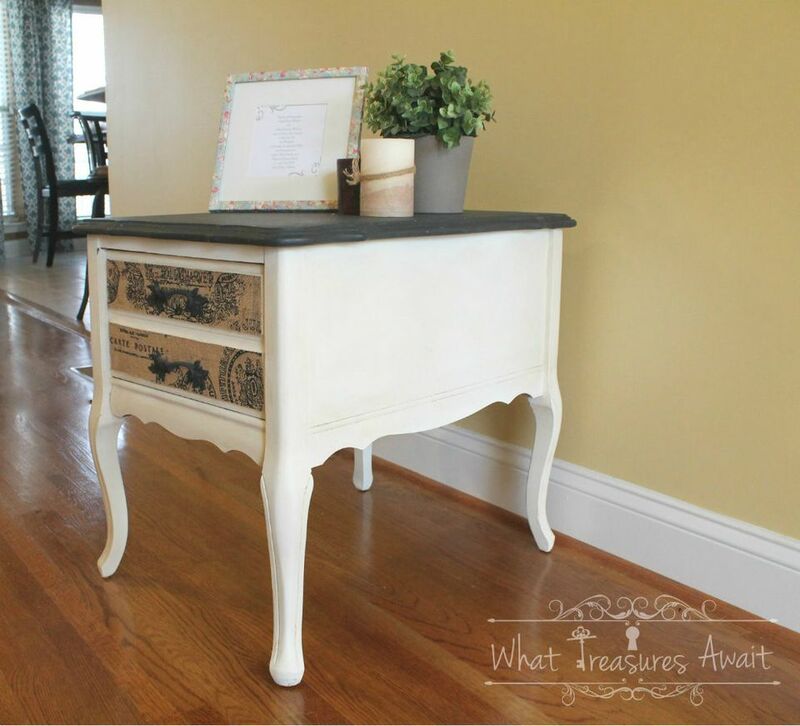 You may want to transform it into a whimsical gray, black and white decoupaged beauty. The Graphics Fairy will show you how with an incredible step by step no fail tutorial. Learn how to prime, paint and decoupage your ugly table into an amazing art piece you will be proud to display in your home. 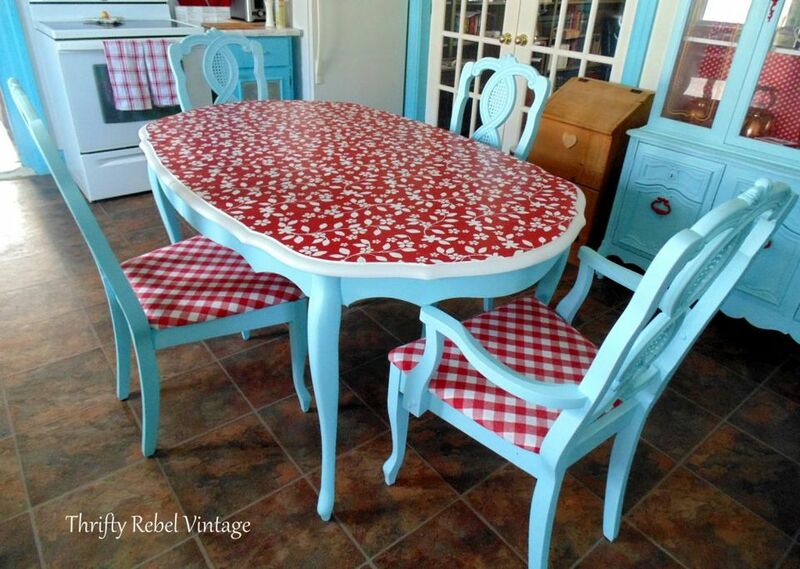 Give your beat up old wooden dining table and chairs new life with a coat of turquoise paint and a red vinyl table cloth decoupaged onto the table top. The color combination will add a hint of vintage fifties style to your kitchen decor. So bright and cheerful! Most people think of paper projects when making a decoupage craft, but fabric can be used to add decorative charm to your furniture redos as well. 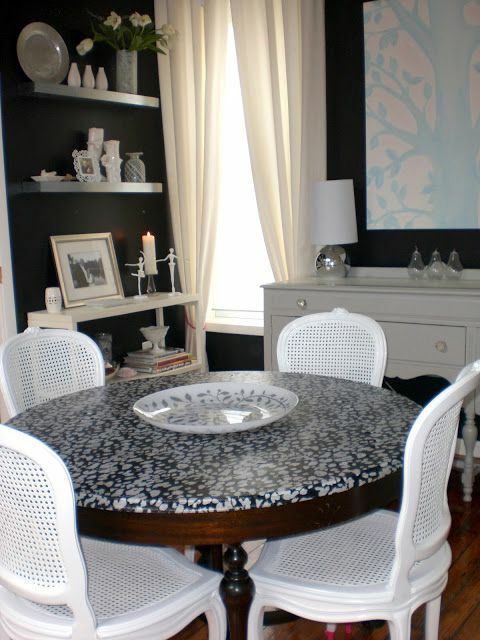 This table has black and white fabric attached to its top with Mod Podge and is then sealed with polyurethane. Nichole Loiacono, a talented home designer from Parlour.com, explains how you too can achieve this stunning look on furniture you want to update. 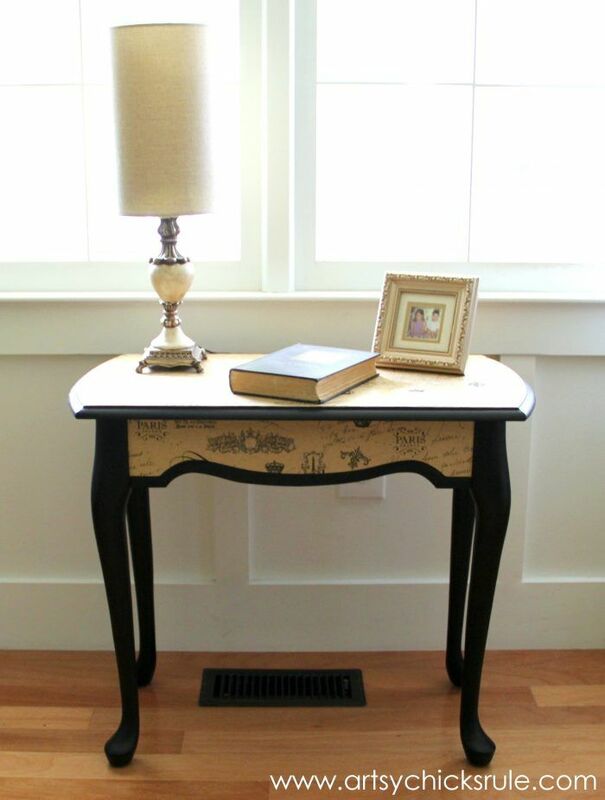 This decoupage project is proof that you can have decent looking furniture on a shoestring budget. The ladies from Artsy Chicks Rule spent a total of five dollars transforming an old ugly table into a thing of beauty. Who would have thought that you could achieve such a stunning look with only paint, glue and tissue paper? Everyone can live nicely with a little bit of work and crafty skill! Chalk paint and burlap fabric magically transform a side table from drab to fab! The creme colored bottom and graphite colored top look fantastic with this particular style of furniture. Add the burlap strip to the front of the drawers for just the right amount of added texture and pop on the piece. Your updated table will make you feel happy every time you look at it! Some people especially love an abundance of bright, happy colors in their home. 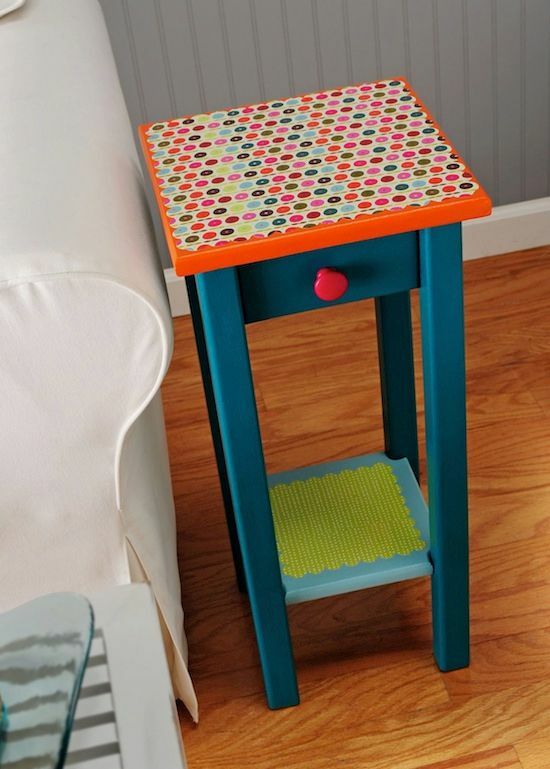 Here is a decoupaged table craft which is bold and cheerful! 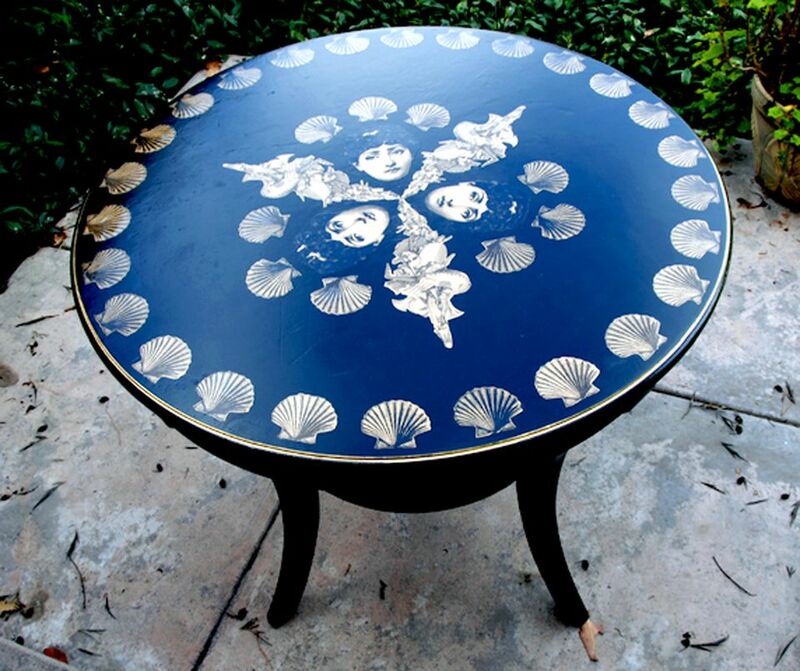 Show the world your funky inner artist with this delightful decoupage table redo. Here is a bright blue table, which is another Mark Montano creation. 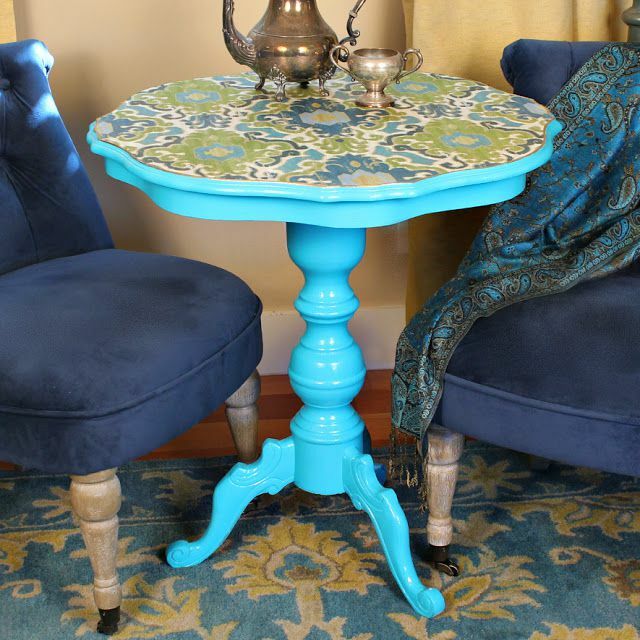 Paint an old thrift store table a stunning color to give it a second life, add some color coordinated fabric to the top, and you end up with a lovely table for you home. The best part is that it hardly costs anything to make! 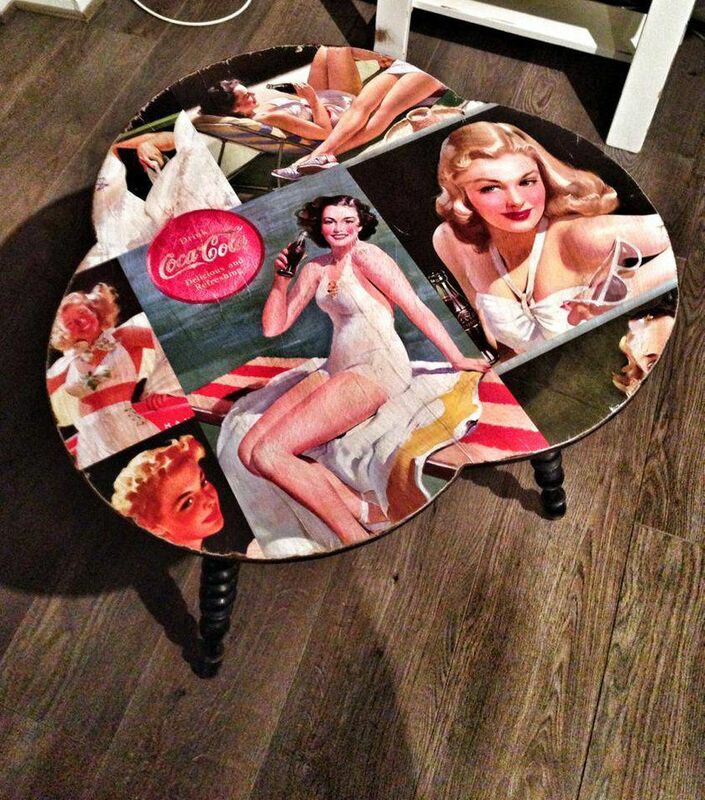 Add a touch of nostalgia to an old table by decoupaging some vintage coca cola girl posters to the top. This cute furniture makeover will have you longing for the “good old days.” Make sure you hop on over to the Vintage Brocante page on deviant art to get inspired by the other fabulous vintage pieces of upcycled furniture designs. Recycle sheet music when transforming your table. 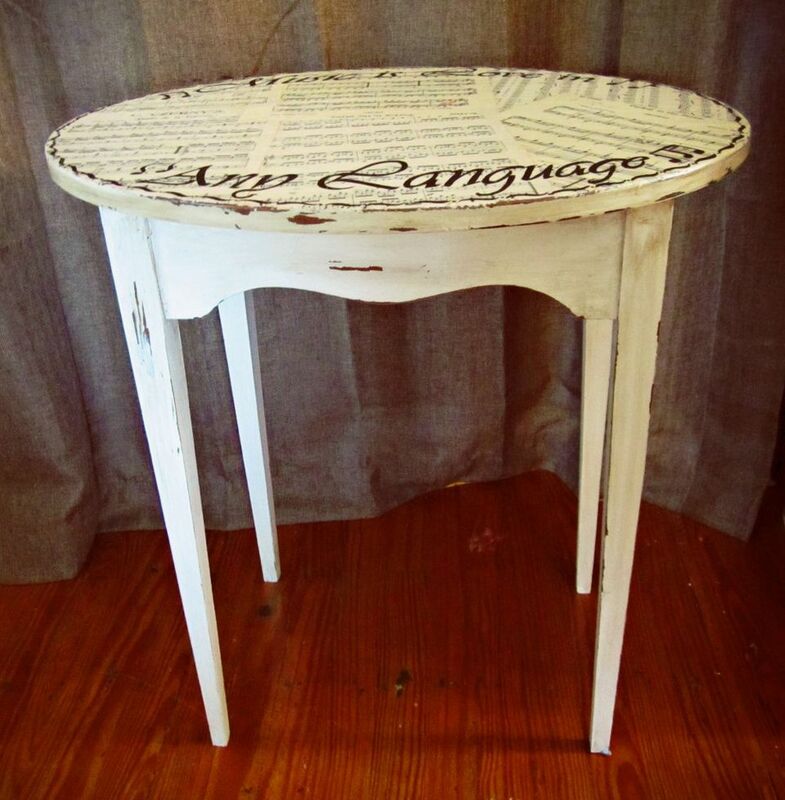 Glazing, paint and Mod Podge convert this table from ordinary to extraordinary.